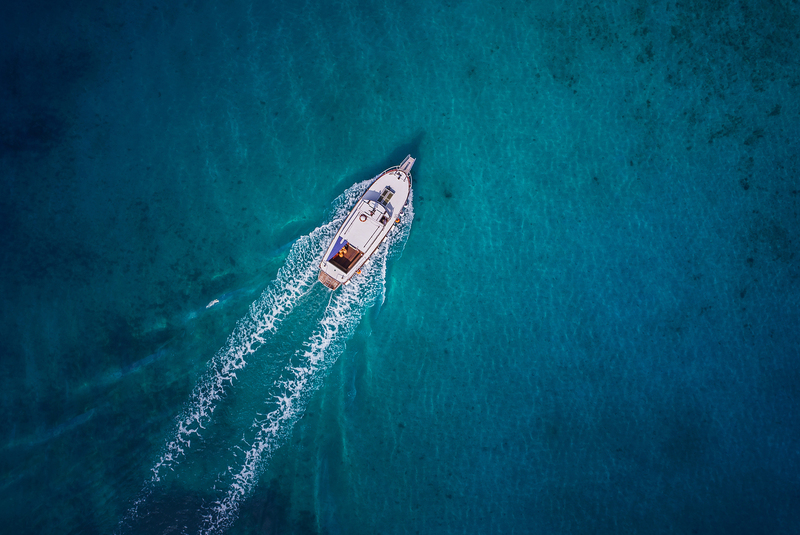 Insurance Claim For Nathan Carman’s Boat Case Sinking Rapidly | The Voss Law Firm, P.C. In September of 2016 a man named Nathan Carman went out in his boat with his mother, the boat sank and only Nathan survived. His insurance claim for the boat is likely to be denied; this is partly due to the questionable accuracy of the deposition Carman gave shortly after the incident, as well as other suspicious facts including the shooting of Nathan’s grandfather in 2013. The National Liability & Fire Insurance Company and Boat Owners Association of the United States are set to deny Carman’s claim for the loss of his boat due to his lack of cooperation to produce more information, and accusations that his repair work made the boat unseaworthy. Other facts continue to cast dark shadows over the claim, including the deep ocean mystery of Carman’s mother’s death and his grandfather’s murder. Carman’s insurance companies have filled a request for confirmation and documentation to support the statements Carman made during a five-and-a-half-hour interview that occurred shortly after the sinking of Nathan Carman's boat, the Chicken Pox. The basis for denying the claim revolve around Nathan’s story of the conditions under which the Chicken Pox sunk, as well as the facts surrounding his mother’s disappearance and his grandfather’s murder. Nathan purchased All Risk, Agreed Value, Hull and P&I insurance in December of 2015. Then in September of 2016 Carmen was on a fishing trip with his mother when the boat sank. Carmen was rescued by a passing merchant vessel after a week at sea and found floating in an inflatable life raft. In Carman’s statement of the accident he explains that he and his mother left from South Kingstown, R.I. late in the evening to go tuna fishing. Nathan told investigators that boat suddenly began to take on water so he grabbed the emergency kit and got to the life raft. He claimed the boat sunk very quickly and he could not find his mother. When he was rescued seven days later, many questions were raised, including speculation about how the life boat ended up where it did. Investigators say the boat could not have drifted to the spot where he had been rescued if they had been fishing in the Block Canyon area as Nathan claimed. Nathan’s mother’s body was never found, casting more doubt and suspicion about the boat’s condition, as well as the circumstances that caused the boat to sink. Carman admits that before departing Ram Point Marina he detached the boat’s trim tabs which opened four large holes in the hull near the water line. In addition, there were doubts that the aft bilge pump was functioning properly due to Carmen’s claim of replacing it the same day they left for the trip. Experts also maintain that even if the boat was taking on water in the way Carman described, there was still plenty of time to radio for help or activate the boat’s EPIRB. National Liability & Fire Insurance Co. is arguing in federal court that Nathan Carman is not eligible for coverage because he made probable faulty repairs to the boat. The insurance company attorneys also claim that the deposition Carmen gave has not been verified. Hubert Santos, Carmen’s attorney, states that there was no negligence and that Carman made every effort to make the boat seaworthy. Carmen’s attorneys and the insurance company met August 7, 2017 with a federal magistrate. They discussed the case behind closed doors, which has resulted in a new filing by the insurance company attorneys for the transcript of Carmen’s testimony to confirm the truth and accuracy of his statement. The insurance company is requesting all documentation of purchases on September 17th and 18th, 2016 that pertain to fishing gear and other items, such as a fiberglass repair kit that was supposedly used to plug the afore mentioned holes in the hull of the Chicken Pox. Nathan Carmen said he would produce the documents, but has yet to do so. Federal authorities and police from at least four states are still investigating the boat incident, as well as the murder of Carman’s grandfather John Chakalos and the disappearance of Linda Carman. The plaintiff's attorneys stated, "The parallels between his grandfather's murder and his mother's death are striking. Nathan Carman's boat and navigational electronics sank, never to be found, after his mother was last onboard; his Sig Sauer 716 Patrol .308 semi-automatic assault rifle, the same caliber weapon used to murder his grandfather, went missing afterwards, as did the GPS in Nathan Carman's motor vehicle."